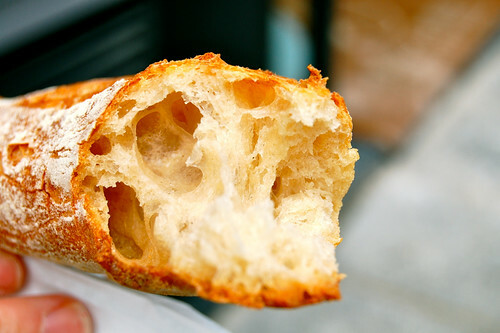 With so many options and so little time to spend in the city of lights, this list highlights The Top 10 Foods You Have To Eat In Paris! I like to plan… a lot. 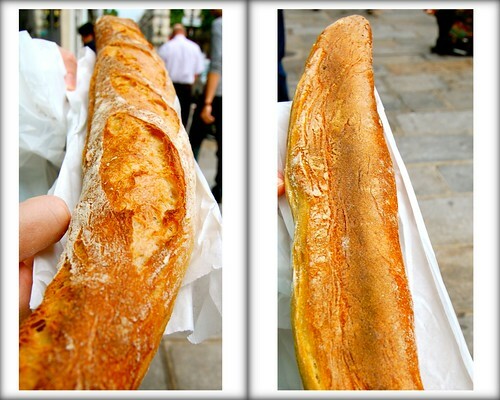 As I painstakingly prepared for our trip to Paris, I researched food extensively. I mean, hey, let’s face it: how many chances am I really going to have to go to Paris…. Exactly. And if I’m only going once (or maybe if I’m lucky twice), I wanted to do it right. I wanted to eat the very best Paris had to offer. And that’s exactly what I did! 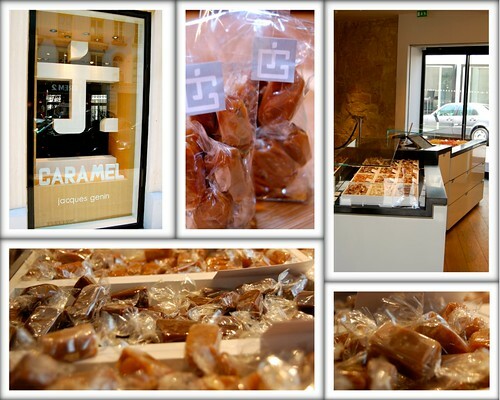 Words do not describe how good the caramels are from Patrick Roger and Jacques Genin. 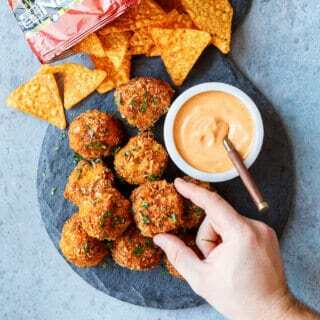 Amazing in texture, rich in buttery flavor, these little treats will forever change your life. I brought some home for friends and watched their eyes light up with uncontrollable joy as they slowly savored each morsel of caramel goodness. If you have to pick only one place to do your caramel shopping, I would definitely choose Jacques Genin (get the natural caramel or the ginger caramel… both are amazing). Really Chris, really? No, c’mon…. butter? That’s in your top ten?! I need to have butter in France?! Yes, you really, really do! 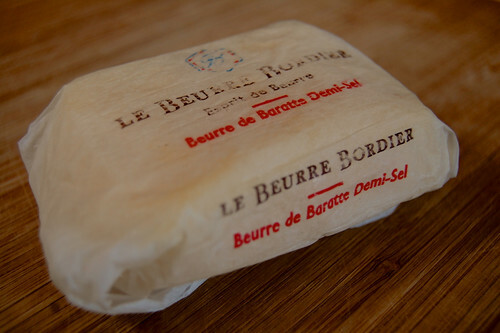 Le Beurre Bordier will revolutionize your current standard of butter. It will seriously blow your mind. Bordier butter is amazingly super smooth and super rich in flavor. You will literally eat loaves and loaves of bread just to eat more of this butter (especially when you add a sprinkle of fleur de sel). I bought this butter at Laurent Dubois Cheese Shop, although you may be able to find it elsewhere. 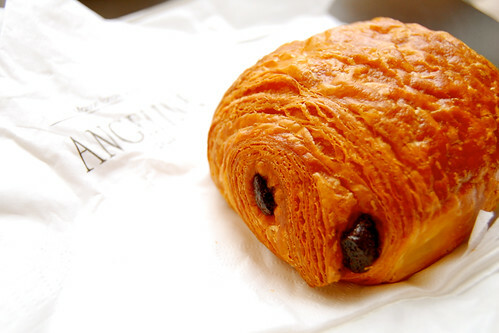 This was my go-to breakfast treat while in Paris. It is basically a croissant with chunks of chocolate throughout. My favorite was at Angelina’s, with Eric Kayser coming in at a close 2nd. If you are at Angelina’s, make sure you also get a hot chocolate… it’s crazy good. You can’t go wrong with any croissant or croissant like pastry at Eric Kayser (I had a lot of them). 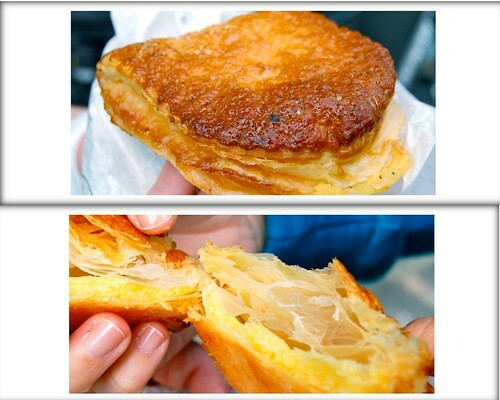 This one here is a pastry with a lemon filling. It was legit! Asheley still claims her life is forever changed after eating it. This was an absolutely perfect architectural masterpiece of pastry genius. 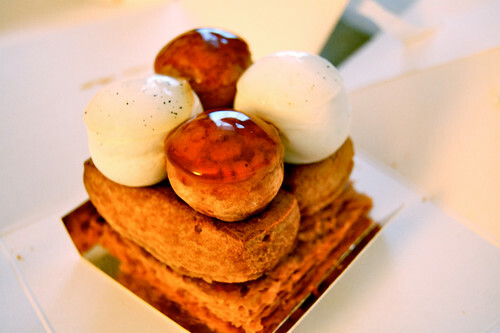 Puff pastry, cream puffs, whipped cream, and caramelized sugar… what’s not to love?! I’m still having dreams about it. Definitely make your way into the Mandarin Oriental for this treat. 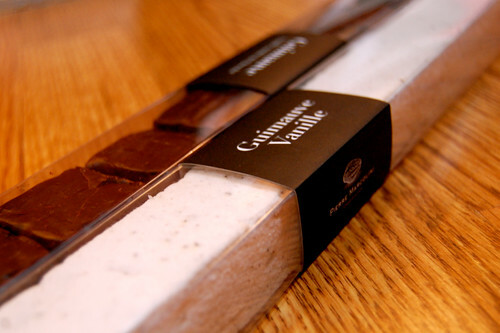 You can eat it within their Cake Shop Patisserie or bring it back to your hotel to enjoy! 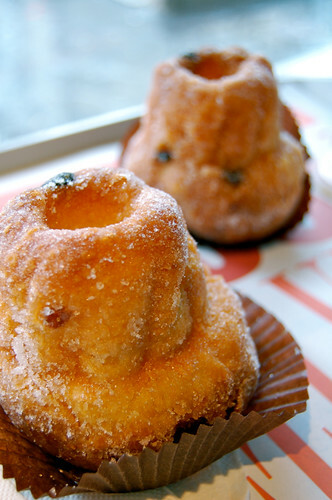 Kouglof is a sweet, yeast-risen dough that is studded with raisins and soaked with a syrup that keeps the pastry super moist. 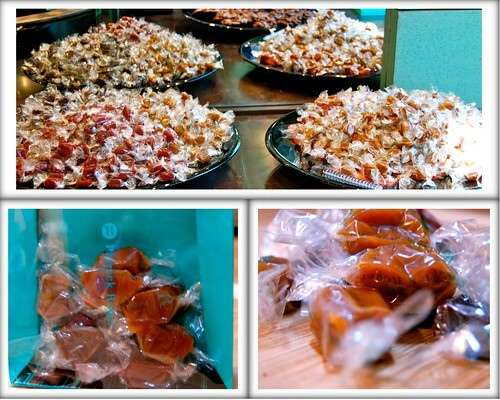 It is then coated with a sprinkling of sugar to give it an extra sweet kick. Vandermeersch Bakery is definitely off the beaten track: we had to take a 20-minute metro ride to the outskirts of Paris just to get there. And they only make their kouglof on Fridays, Saturdays, and Sundays, and it does sell out quickly from what I’ve been told, so plan accordingly. 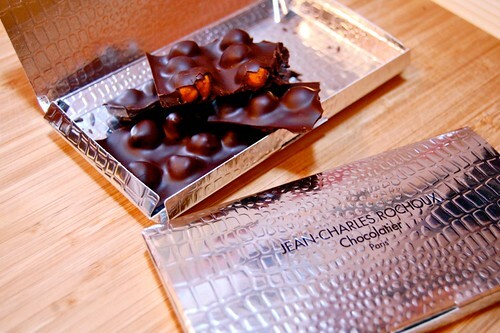 World-renowned for their amazing caramels, Jacques Genin also has awesome chocolate. 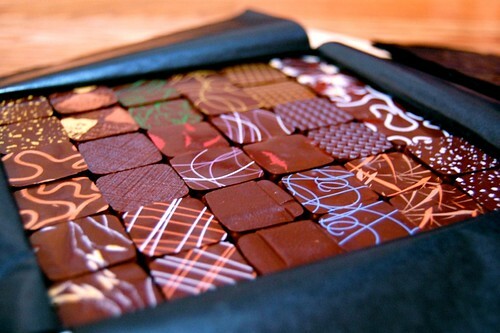 I bought a box of assorted dark chocolates to enjoy back home here in the U.S., and I am loving what I’m tasting! The truffles are decadent, the chocolate carousel is plain good fun, and this dark chocolate bar with candied hazelnuts is to die for. You really cannot go wrong with anything from this MOF Chocolatier (MOF is the highest honor given to a professional in the French culinary world). My only advice here is don’t shy away from the combinations that sound unique or different. That’s his specialty! I also am in love with the little colorful half-spheres in the bottom-left of the photo: those are liquid caramel enrobed in a thin layer of dark chocolate. 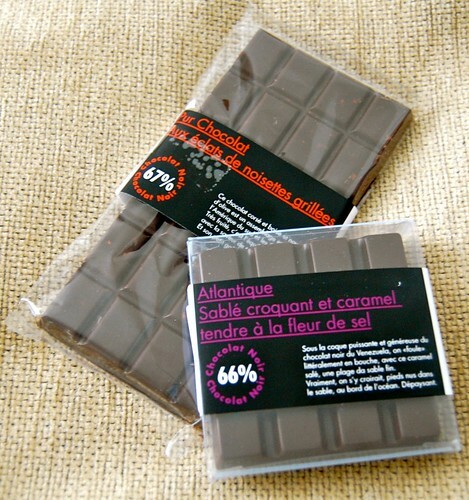 The wall of single-sourced chocolate bars are also very worth your time. 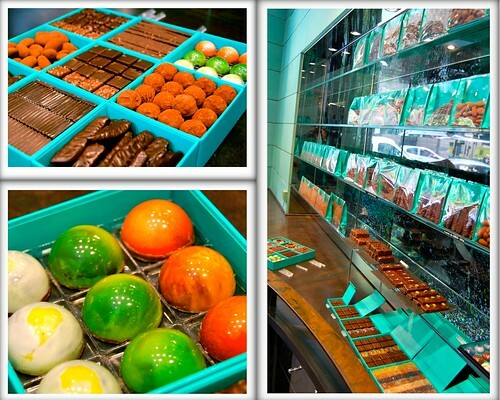 If I had to pick only one chocolatier to go to, Patrick Roger would probably be it. Hands down, you need to get the Atlantique from this MOF Chocolatier (although pretty much everything is good, including the couple macarons I sampled). This square dark chocolate bar is filled with luscious caramel and a delicate layer of crunchy shortbread. I bought three of these bars. Enough said. Okay, okay, I know… technically Pierre Marcolini is a Belgian Chocolatier (and I actually went to the one in Brussels, not Paris). However, they do have a boutique in Paris so I’m including it here. The chocolates are good, but the real star here is the marshmallows. The marshmallow itself is delicate, sweet, and fluffy with a hint of vanilla. It just melts in your mouth. 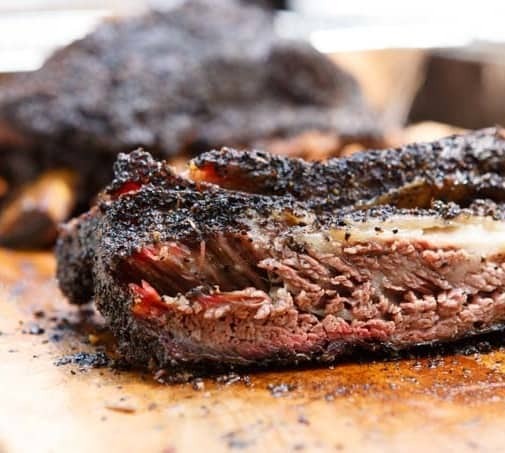 Cover that with a super thin layer of dark chocolate… amazing! You need to have cheese in Paris. 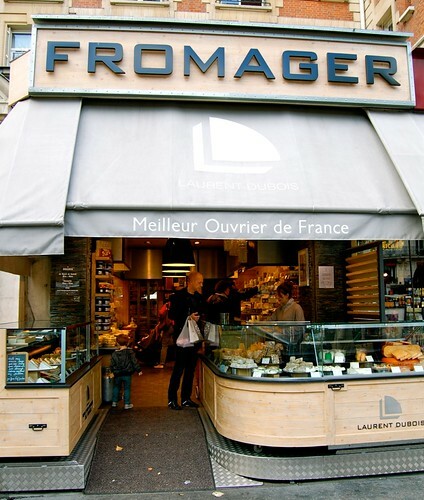 More importantly, you need to have cheese from Laurent Dubois in Paris. As you can see on the awning, just like Patrick Roger and Franck Kestener, he is also a MOF (Meilleur Ouvrier de France) in his culinary field of cheese-aging. 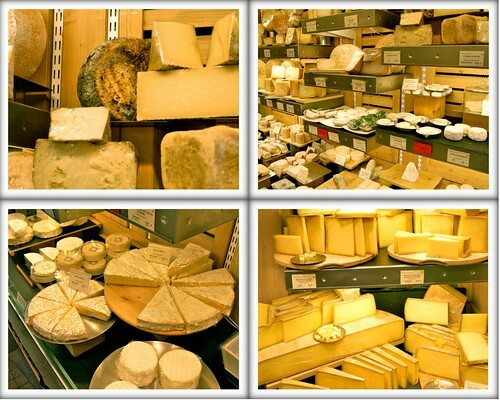 As you enter the shop, a cheese consultant will help you select the perfect cheese. Laurent Dubois also has the capability of vacuum-sealing your cheese so you can bring it home! Our cheese consultant was superb. They had us try some different varieties to get a sense of what kinds of cheeses we liked, then they started making some recommendations based upon our needs/wants. 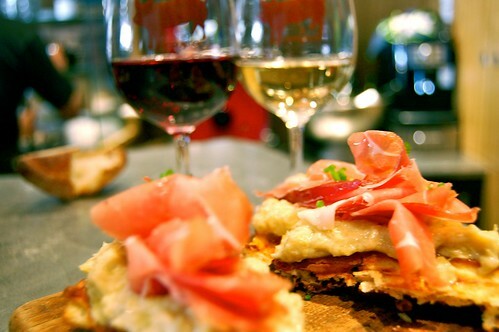 Want cheese to pair with a certain wine? 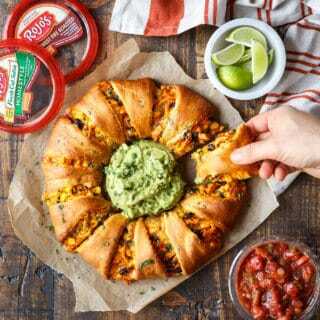 Or maybe to pair with certain foods? Oh, and you want the cheese to be perfectly ripe for 3 days from now? A week from now? No problem for these experts! 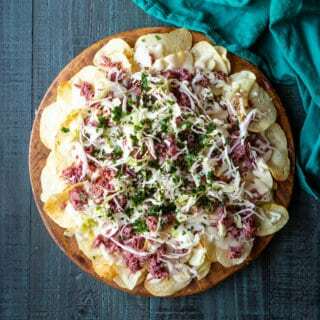 For instance, we told him we wanted a nice variety of cheese for a get-together we would be having back home the following week. He not only picked great cheeses based on what we tasted and liked, but he also found ones that were perfectly ripe and ready to eat when our party was taking place. Sometimes spelled macaroon in America, the French macaron is said to have been invented by Laduree in the early 20th Century. Although the macarons at Laduree are definitely delicious, I’m partial to the ones at Pierre Herme. The macaron itself is the delicate, sweet, meringue-like shell that sandwiches some sort of ganache, buttercream, or jam filling. 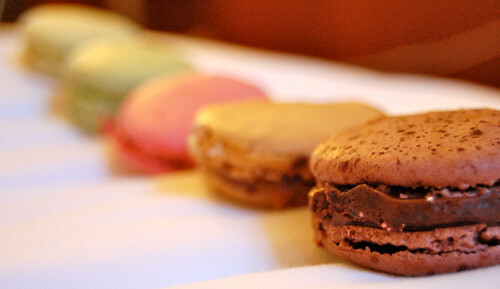 Plan on stopping by one or both of these macaron meccas while in Paris! 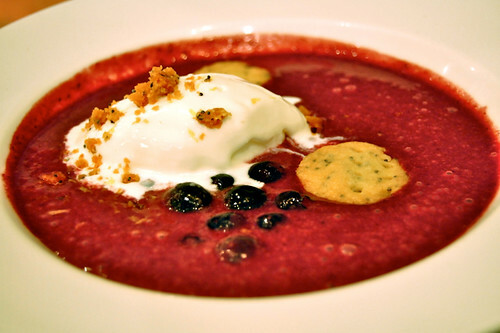 Chef Daniel Rose offers a spectacular market-driven five course menu that rotates weekly for about 75€ per person. 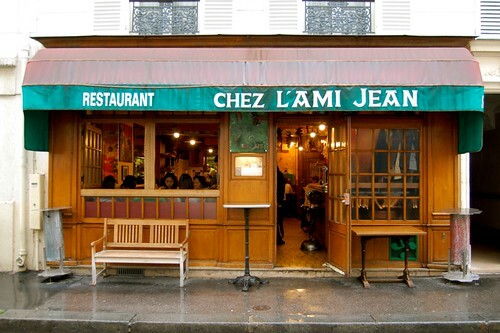 The service is extremely warm and friendly to foreigners, and the food is absolutely unreal. The open kitchen offers fantastic views for food-lovers like me, watching Chef Rose and his staff work with extreme detail. 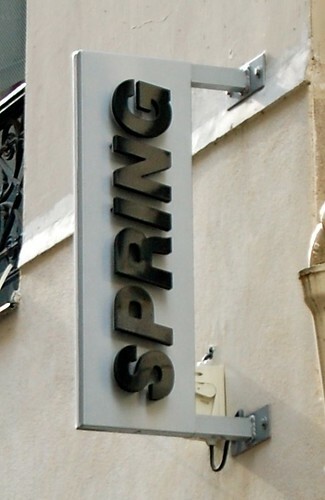 Check out my full review here: Spring Restaurant. 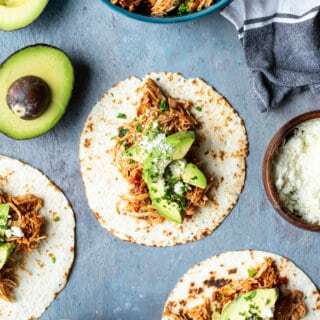 Chef Stephane Jego serves up incredibly-generous portions of skillfully prepared food within a fun and lively atmosphere. The servers move around the tiny restaurant with crazy speed and you can watch Chef Jego at work throughout your entire meal through the kitchen window. He has several menus available, including an a la carte, normal tasting menu, and then an over-the-top tasting menu. We chose the normal 6-course tasting menu, which changes on a regular basis, and was about 50€ per person. It was a fantastic value! 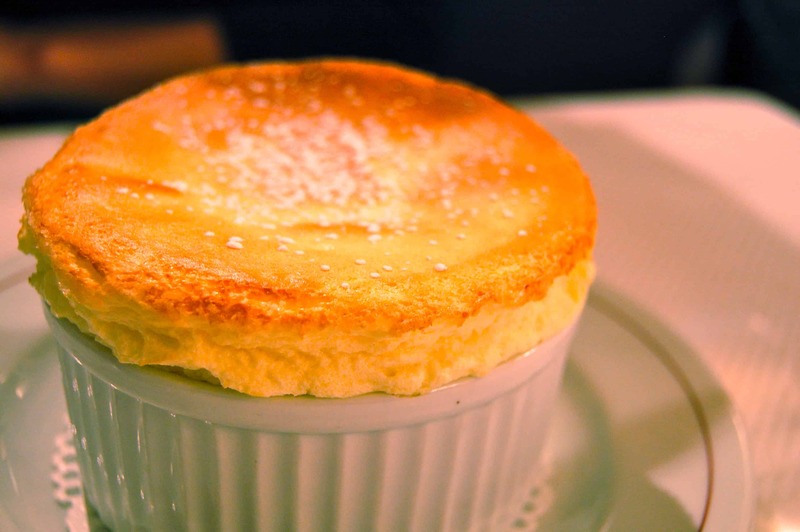 A neighborhood bistro serving up elevated French classics, Bistro Paul Bert is a very affordable dinner option in a casual, relaxed atmosphere. 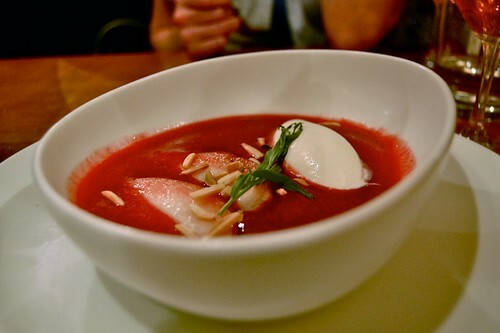 The regularly-rotating prix fixe menu, consisting of entree (appetizer), plat (main), and dessert, is only 36€! 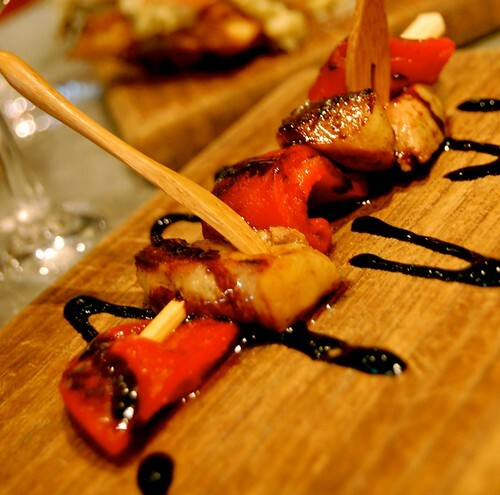 There are several delicious dishes to choose from for each course. 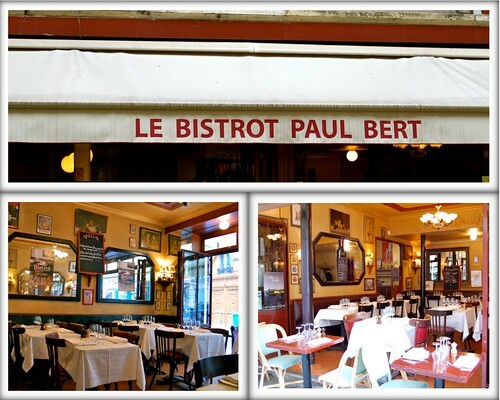 Check out my full review of the restaurant here: Bistro Paul Bert. Chef Inaki Aizpitarte’s Le Chateaubriand is not an easy reservation, but you will be rewarded with an amazing 50€ prix-fixe menu that changes daily. 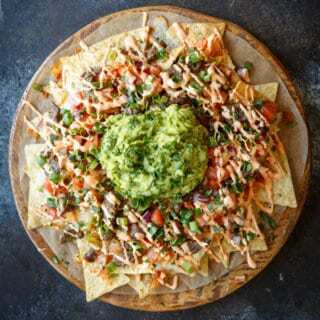 The place is packed with locals, and the food offers some pretty unique flavor combinations. 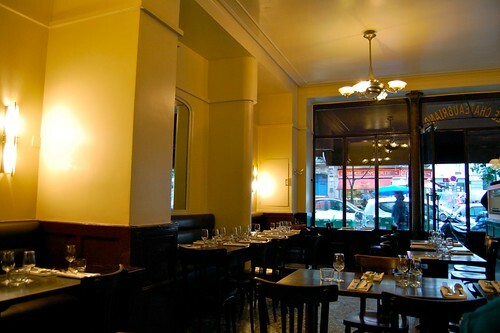 If you can’t get a reservation, try his wine bar Le Dauphin a couple doors down. Formerly the sous chef at Mario Batali’s michelin-starred Del Posto in NYC, Chef Kevin O’Donnell came to Paris to head up the kitchen at L’Office. Bringing his Italian culinary influences along for the ride, Chef O’Donnell’s French-Italian fare is utterly spectacular. 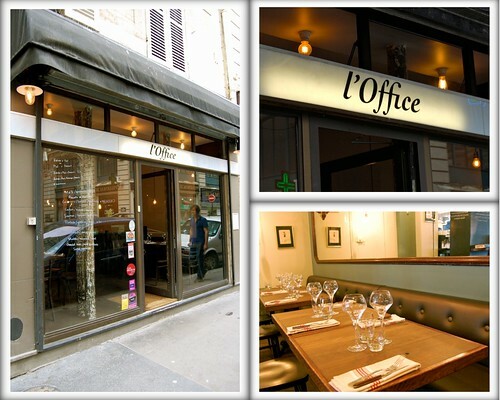 And at only 26€ for the regularly-rotating three course menu, L’Office is affordable for pretty much anyone’s budget. I know, no picture for this one, sorry! Restaurant Guy Savoy has three coveted Michelin stars, the highest honor given within their rating system. 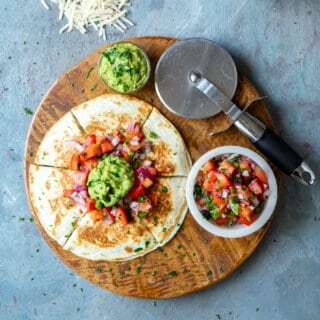 The menu is not cheap by any means (315€-360€ per person), but you will eat, drink, and have service like never before (unless, of course, you are accustomed to eating at such haute-cuisine establishments). We decided to dine at Guy Savoy after reading some amazing news on Wendy Lyn’s blog, The Paris Kitchen. (You can read her review of the restaurant here: Guy Savoy). During the summer, she announced, Chef Guy Savoy was offering a 5-course Tasting Menu for only 165€… oh, and it included wine pairings! The food was mind-blowing, the wine pours were generous, and the service was absolutely perfect. It was an incredible evening and definitely worth every penny. I know, crazy right?! 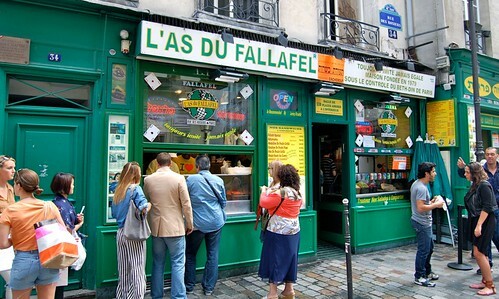 Who would have thought Paris had an unbelievable falafel place! 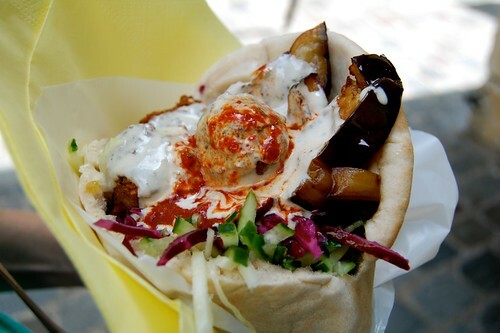 It’s not just good, it’s described by many, many people as the best falafel sandwiches in the world. I’ve only had falafel in NY and Paris, so I’m not ready to make such a bold statement yet… but I can say that it is hands down the best falafel sandwich I have ever had (Taim Falafel in NYC would definitely be my 2nd favorite). 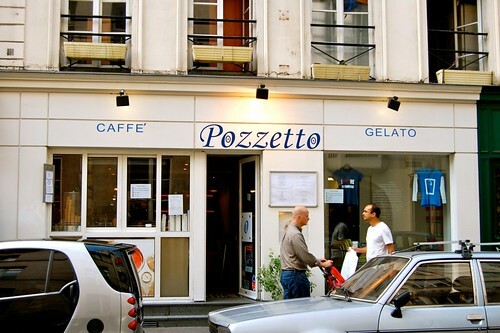 I sampled ice cream/gelato at a few places in Paris, and this was by far my favorite. 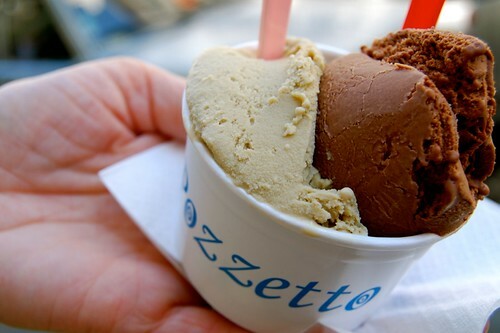 The gelato is super creamy and packed with flavor. Grab a cup with a scoop of Pistachio and of Giunduja (chocolate-hazelnut), you won’t be sorry! You have to get a Crepe and Creme Brulee while in Paris! 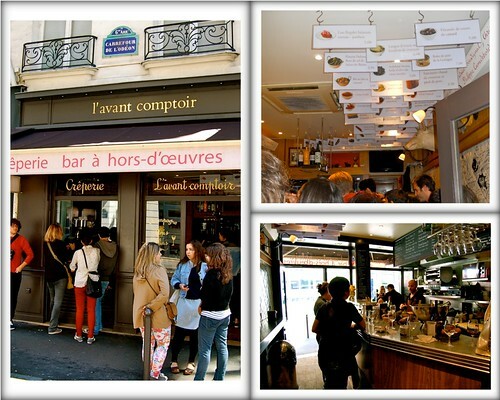 We found delicious examples of both at L’Avant Comptoir. 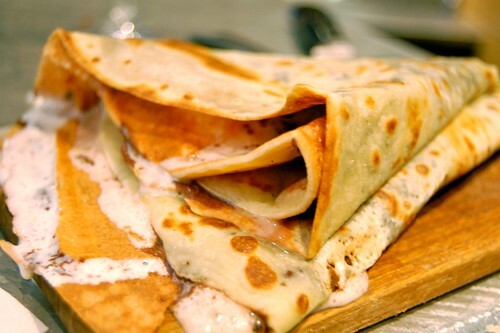 You can get your crepe filled with whatever you fancy, ours had both chocolate and chantilly cream! 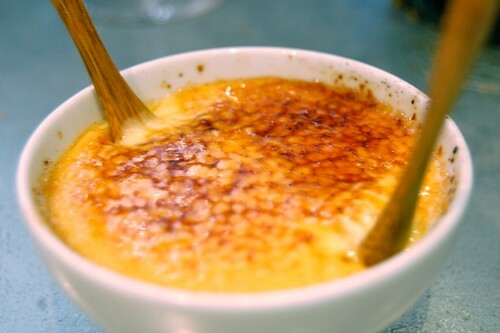 The creme brulee was perfectly cooked and had a hint of unexpected lavender. I’m sure you can get an excellent souffle at many spots in Paris, but the Grand Marnier Souffle at Bistro Paul Bert was pretty darn perfect. 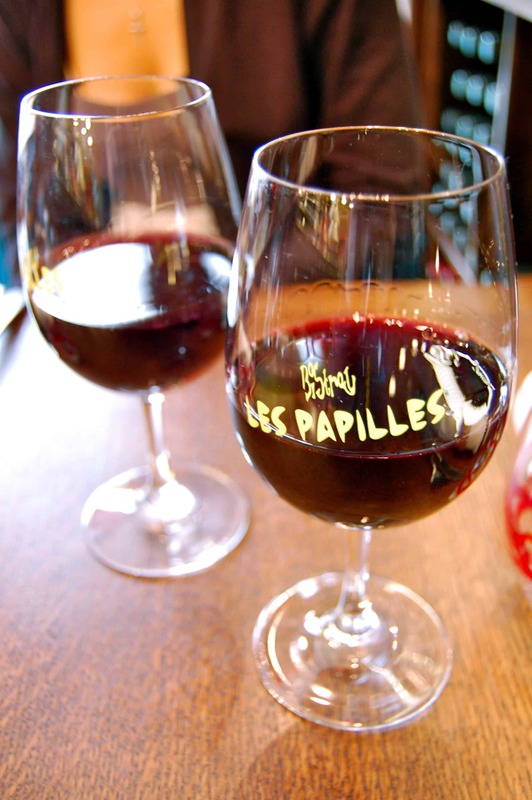 While you are in Paris, there is so much to eat and so little time! Enjoy every second! 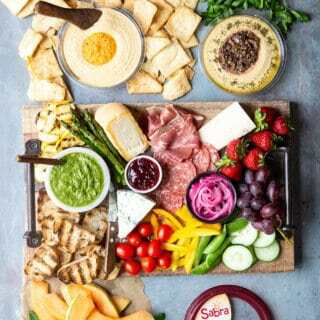 Enjoy every morsel! I know we did! 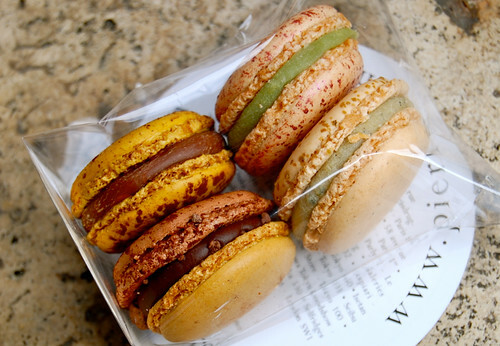 That Lime-Basil macaron sounds funky but I would really love a recipe for the Salted Caramel. Now I want chocolate, baguette and butter! Well written, Chris. I enjoyed reading it! I think I gained 5 pounds just from reading this. Goood stuff. 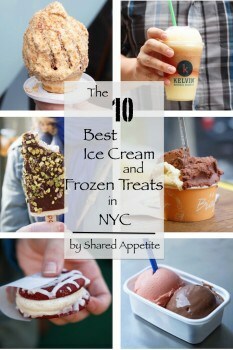 Great list to read before our upcoming Paris trip. 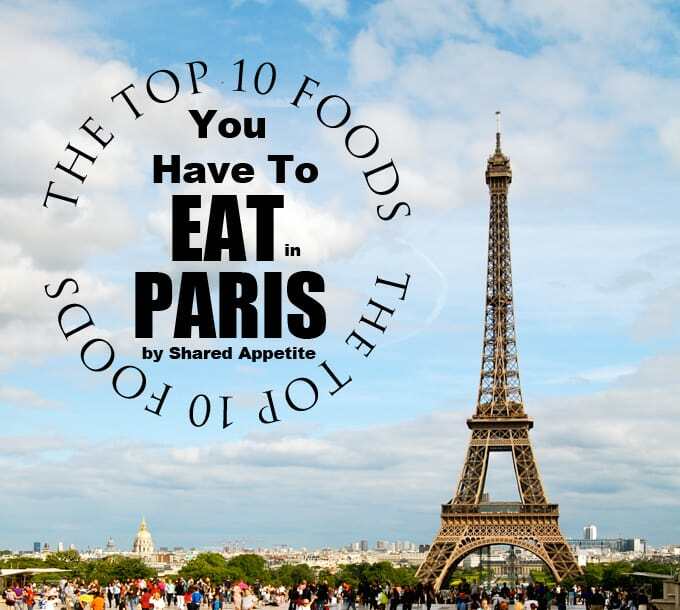 One of the best Top 10 Paris lists I’ve seen! Thanks so much for the kind words! Enjoy your time in Paris! 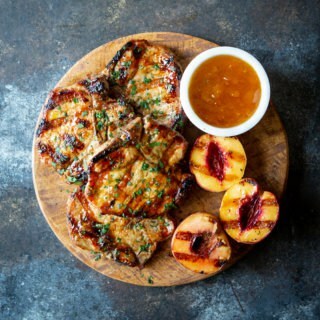 Definitely check out David Lebovitz’s blog as well as The Paris Kitchen’s website. It helped me a lot when planning where to eat. Much better food will be found in San Francisco. Also more affordable. Amazing post Chris! 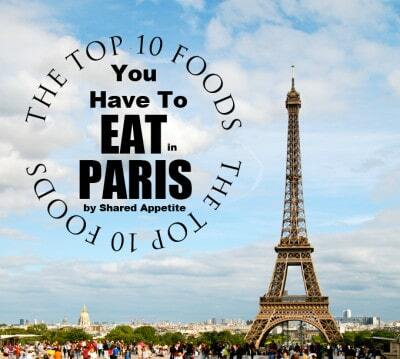 This list is exactly what I have been looking for my upcoming Paris vacation :). Definitely booking a tour with Wendy, which one did you do? I’m actually thinking of booking two. We have 6 days, do you think that is overkill? Thanks so much Heather! So glad this list is helpful for you! I’m pretty sure we did the taste of the 5th and 6th (Left Bank). It was fabulous. No matter which tour you do, you’ll have an absolute blast. Wendy was definitely the highlight of our entire trip. We learned so much in our time with her. If you’re really interested in the history of Paris cuisine and all about the current culinary scene, I would totally book 2! Have a great time!! I just returned from two weeks in Paris last month and loved your article. 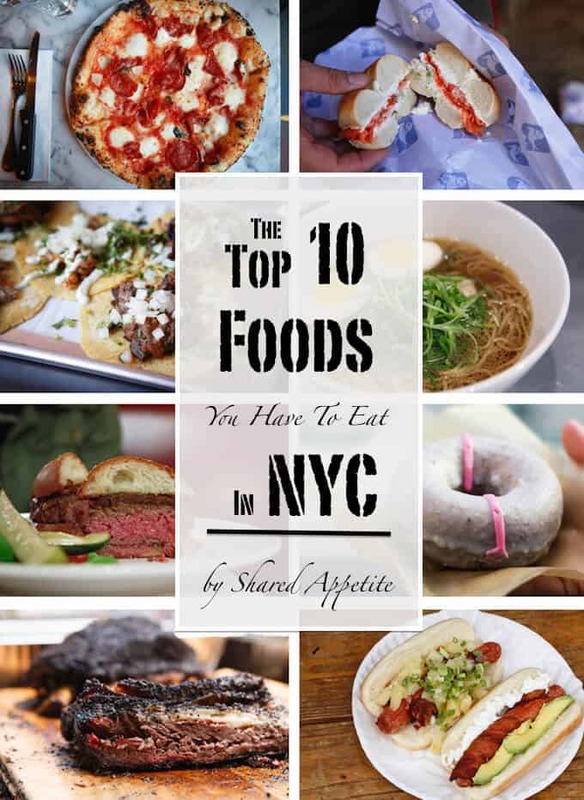 The only place on your list I have been to is the Falafel As -it was good and fun to eat there. I can’t wait to go back and try some or all of your suggestions. Its like you said – now, what would Evelyn like? – and wrote it all down just for me…. thank you. A true Butter friend. That falafel place is pretty incredible isn’t it?! Thanks so much for your kind words about the article! Glad you enjoyed it and yes, definitely try to cross off all those places next time you get to go back! This is AMAZING! So so happy you sent it to me! Thanks! Have an amazing time! Can’t wait to see some awesome Paris posts from you!